Fewer than 1 in 20 girls, when asked about their future careers, plan to go into a science, technology, engineering or math career. LANSING – Armonie Crusoe is playing a computer game after school. That might not seem unusual except for this: The 12-year-old has to program the game to get her character, named Anya, to travel across the screen. The seventh-grader at Wexford Montessori Academy is writing in a language called Python and loving every minute of it. She spends two days a week after school soaking up computer programming, robotics and game design. “I like it because, not only does it get me away from my siblings, I like it because I’m learning a lot,” said Armonie, the oldest of five. She’s looking at a career as a technology teacher. Meanwhile, Darynn Trumble, 12, who hopes to be a game designer, has a cast of characters called sprites swirling around and changing clothes on her computer screen. Each movement is controlled by Darynn’s programming in Scratch. A group of eight girls is building credit card-sized computers, a model called Raspberry Pi. Other girls in the after-school program are creating music and floral patterns for website design. They are among about 15 fourth- to eighth-grade students, all girls, attending 2020 Girls at Wexford Montessori Academy in the Lansing School District, a free after-school program. It operates at three other sites in Lansing using instructors from Michigan State University. Created three years ago, it’s part of the programming offered by the nonprofit Information Technology Empowerment Center. ” said Kirk Riley, executive director of ITEC. Initially, though, he said 70% to 80% of students signing up for after-school math, computer and robotics programs were boys. That pattern of interest is reflected in career choices later on. Too few women go into high-paying tech fields. Here’s the nut of the problem, according to ITEC: Women make up just 11% of engineering employees and fewer than 1 in 20 girls, when asked about their future careers, plan to go into a STEM field. Of the 136 girls involved last year in 2020 Girls — so named because they’re trying to nudge more girls into STEM fields by the year 2020 — a survey found that more than half said they want to go into a technical field. 2020 Girls was developed in 2014 to target girls in an all-girls environment using female instructors. They attend class for 90 minutes twice a week. “It’s having an impact on the lives of at-risk girls,” Riley said. 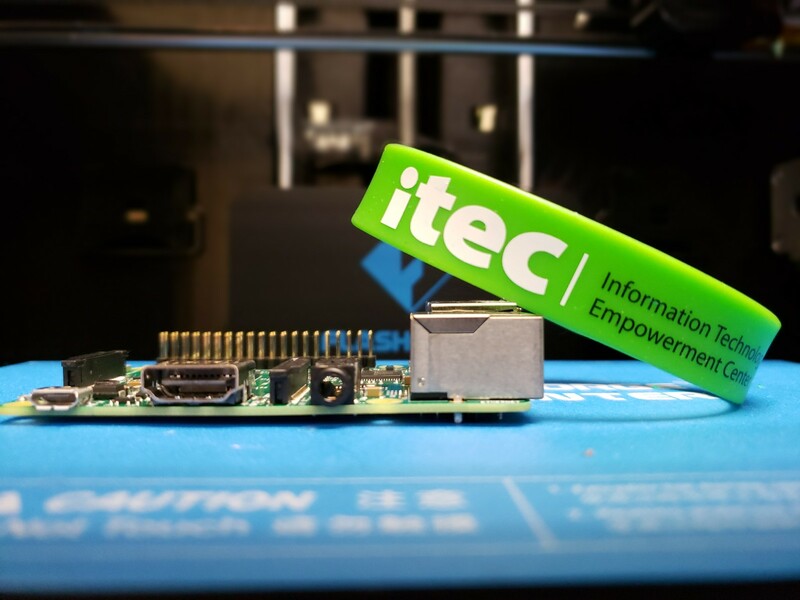 “A big part of ITEC is having your imagination come to life. We give these kids the space to explore.” It’s also attracted the support of many prominent women in Lansing, including former state Rep. Joan Bauer and Diana Tarpoff, director of the R.E. Olds Foundation, both of whom raise money for the program. Samantha Amburgey is chief information officer for MSU Federal Credit Union. She’s also on ITEC’s board. She sees too few women in technical fields. She said 2020 Girls is growing that pool. Dean Transportation donates buses and drivers to deliver kids from the after-school programs to their doorsteps. Patrick Dean is vice president of business development for Dean Transportation. He is also chair of the ITEC board. “In our transportation industry, everything now and in the future is going to relate to technology. Just maintaining our vehicles now, you need knowledge of computers and programming to understand how the engines work and need to be programmed,” he said. He said that 2020 Girls and ITEC are good for his business by expanding the local workforce with technical skills. But it’s also the right thing to do for the kids. “It’s transforming and igniting a passion in our youth for STEM. It’s exciting,” he said. Judy Putnam is a columnist with the Lansing State Journal. Contact her at (517) 267-1304 or at jputnam@lsj.com. Write to her at 300 S. Washington Square Suite #300 Lansing, MI, 48933. Follow her on Twitter @JudyPutnam.